Will Siblings Remain Together if I Place Them for Adoption? Placing one child for adoption is one of the hardest decisions a woman that faces a crisis pregnancy can make. Placing siblings together is no less gut-wrenching. Though many birth mothers have had their rights involuntarily terminated, some have voluntarily relinquished their rights to make a life plan for their children. It shows the utmost bravery! When a birth mother places two siblings for adoption, naturally her concern is if a family will adopt them. The fact is, Child Protective Services (CPS) in many states is attempting to keep siblings together because they recognize the benefits. There may be exceptions to the rule such as suspected abuse between two or more siblings, a large gap in the siblings’ age, two different birth fathers, or if the siblings have never lived with one another. Barring those reasons, siblings should be placed together for adoption, whether in private adoptions or foster-to-adopt situations. Here’s why. There may be much anxiety regarding not only with whom your children will grow up with, but also your interactions with those families. Open adoptions are tricky and can add more stress than warranted. However, they also can provide a sense of relief, knowing that someone is taking care of your children. Partnering with one family is a bit less work than partnering with two. Communication, visits, and updates on children are a package deal, so are personalities, lifestyles, and values. Siblings placed in the same adoptive family can give peace of mind to a birth mom who may have some doubts. If the birth mom can choose the adoptive family, can express how she would like them to be raised and has some type of contact during their formative years, it becomes a win-win situation for all involved. This situation is much better than the alternative, which could end up being a fatal, final decision, in which no one gets blessed at all. Opportunity for normalcy, within “normal” families, it is normal for siblings to be raised together. Normal families look alike, live together, have the same last name, the same heritage, and similar futures. Adopted siblings deserve as close to a “normal” life as possible. Being separated may add an undeserved stigma and cause the public to question, What is wrong with those siblings that they do not live with one another? Adopted siblings have the chance to lead as normal a life as possible. Experiencing holidays together, sharing the same room, attending the same school and have contact with the birth family can be a bonding experience when both siblings grow up with the same adoptive family. Sharing the same adoptive parents should also not be underestimated. Shared experiences can give peace of mind to a birth mom who may have some doubts. People underestimate the amount of stress a child goes through. The stress of being separated from biological parents is stressful; being separated from siblings is equally stressful. When siblings are separated, either in foster care or in adoption, a child may think: is my brother safe? Is my sister loved? Are my siblings going through the same things I am? Siblings placed together don’t have those questions, and it gives them peace of mind. 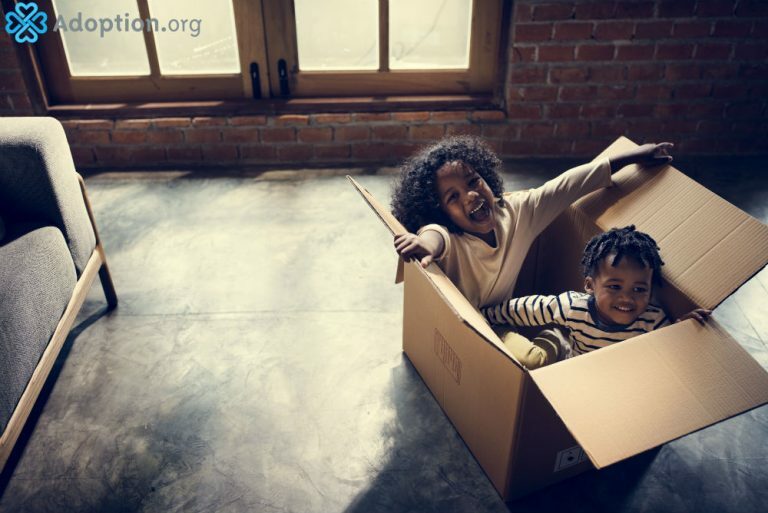 If you are voluntarily relinquishing your parental rights and are considering placing two or more of your children for adoption, don’t hesitate to do so because of a fear that they may be separated. For the most part, they won’t, unless there are extraordinary circumstances that warrant that situation. Adoptive siblings deserve to grow up with one another. Find an agency or attorney that works in their best interest to do so. You won’t be disappointed.